The DWSR 2501C (Doppler Weather Surveillance Radar) is an operating in C-Band long-range weather radar to locate precipitation, calculate its motion, and estimate its type. It also predicts the likelihood of hazardous activity, detects the conditions for hail, forecasts floods, and analyzes the behavior of winds inside a storm for early detection and tracking of tornadoes and severe weather events. The transmitter uses a tunable coaxial long-life magnetron of type EEC 5357. 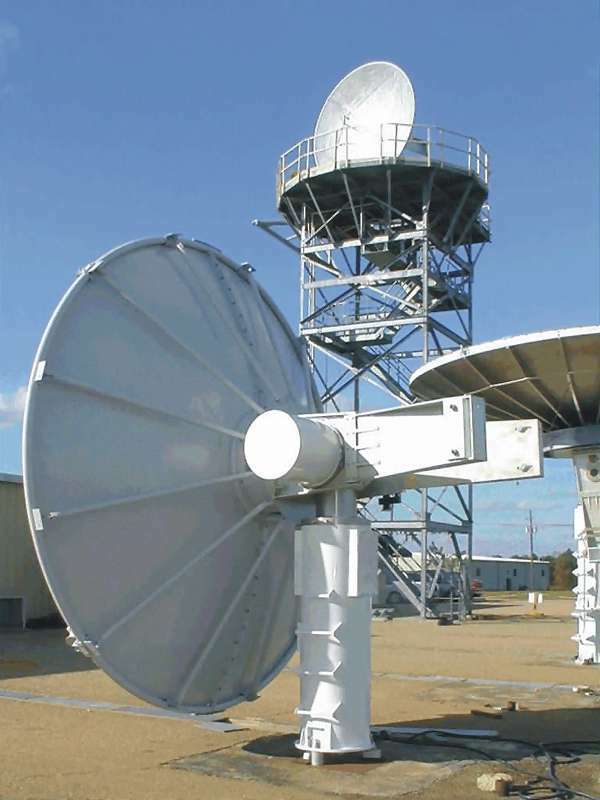 The antenna supplied as standard is a solid-surface parabolic reflector antenna with a diameter of 14 feet and a gain of 45 dB. It is fed by a rectangular horn with linear horizontal polarization. The higher powered systems DWSR-3501C and DWSR-10001C use a transmitter with 350 kW respective 1 MW vacuum tube.